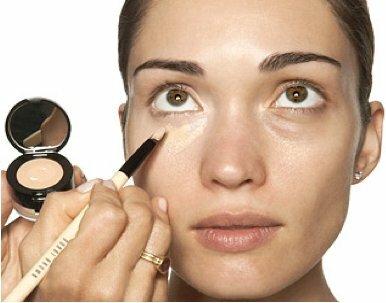 To get rid of the dark circle tragedy use a concealer that is a yellow or orange base which will cancel out the blue/purple color under the eye. To finish it off brush a small amount of beige or white eye shadow under the eye to set the concealer. A really great product is NARS Cosmetics Highlighting Blush in Albatross.